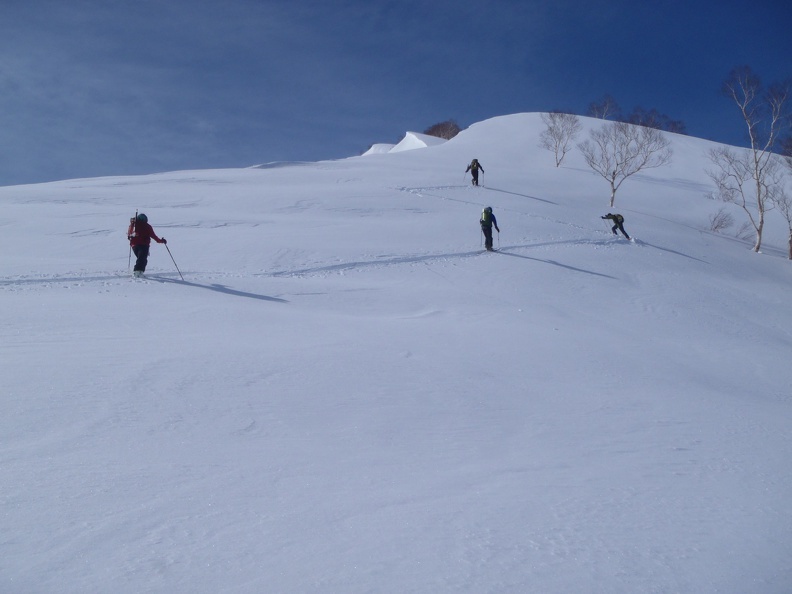 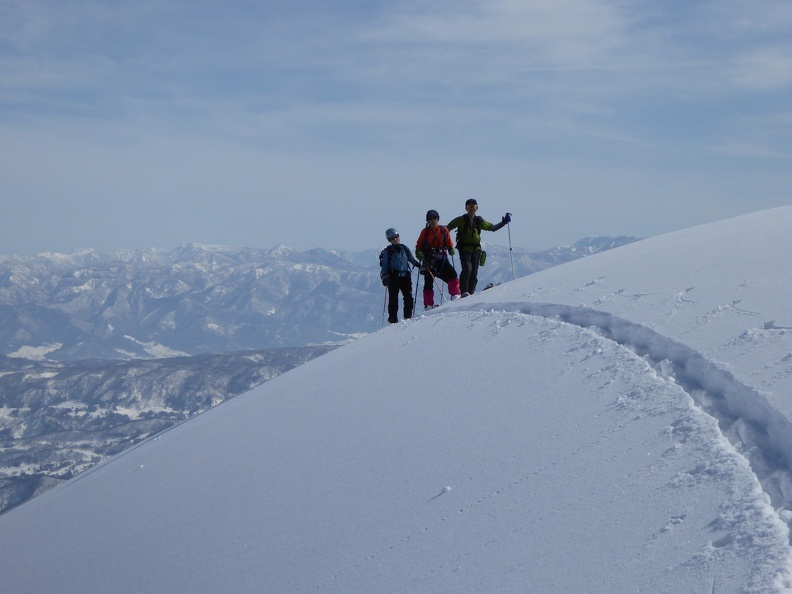 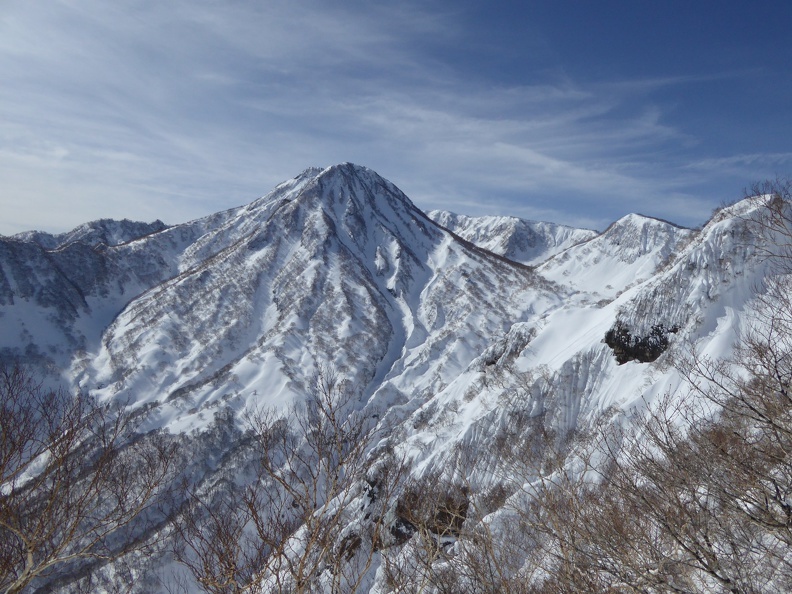 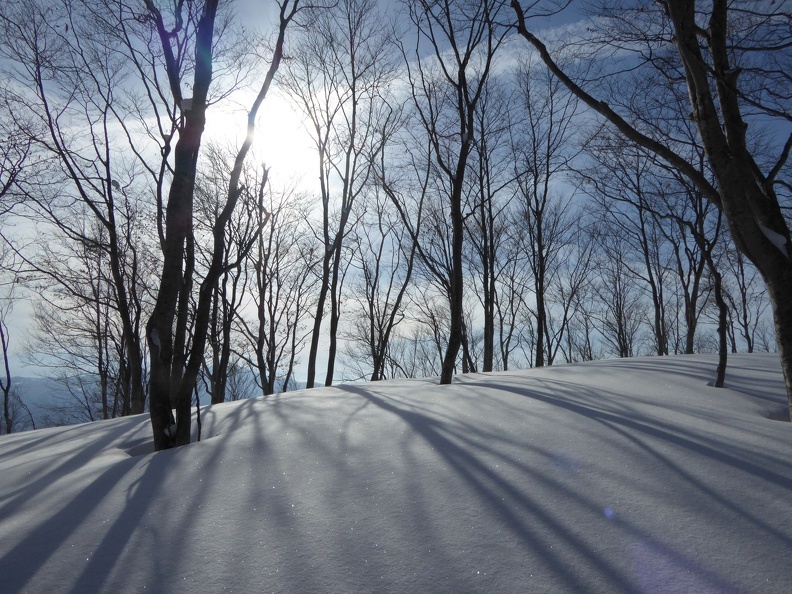 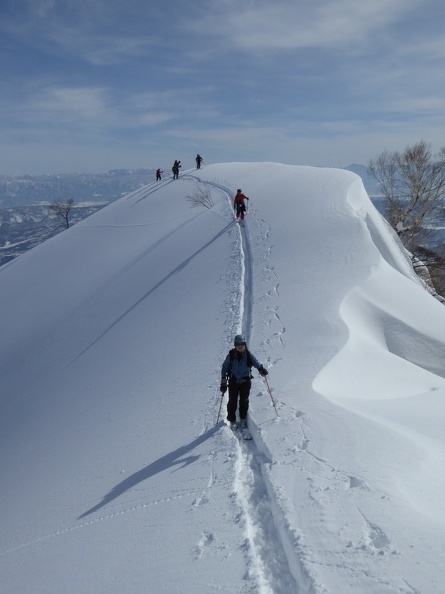 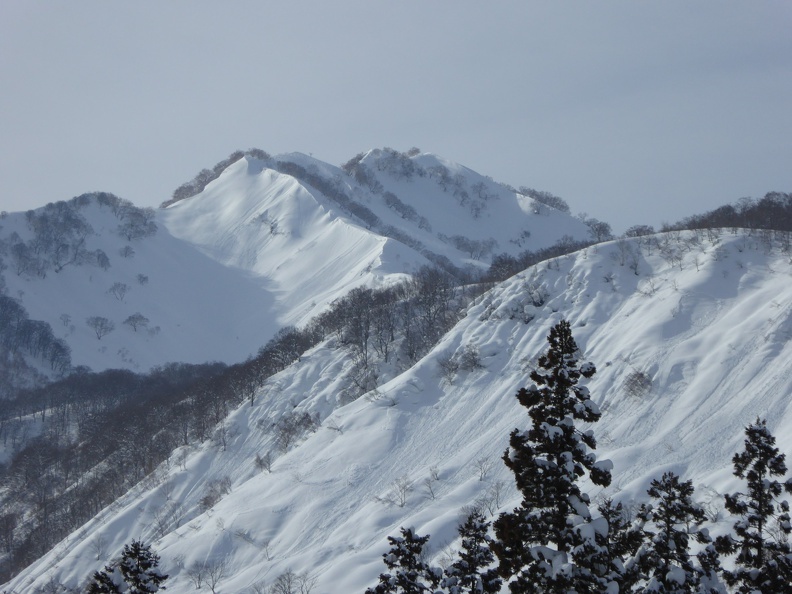 A great trip in Niigata prefecture on Mount Kanna, right next to Mount Myoko. 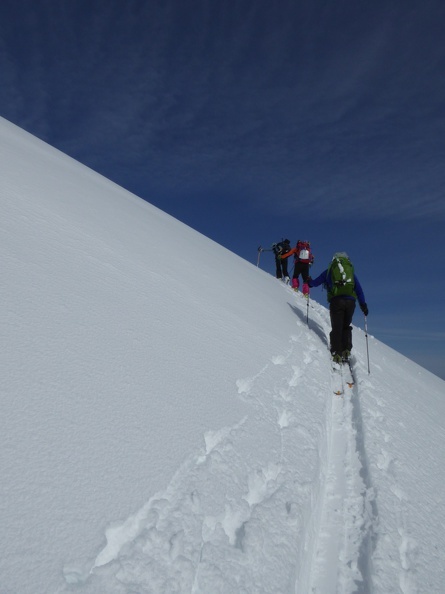 A first step step leads to a long ridge that gets steeper and steeper. 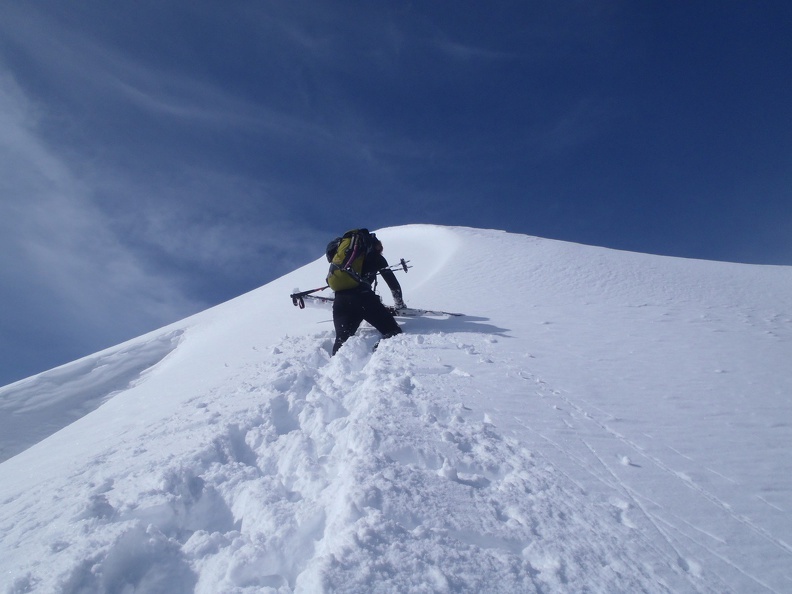 The last part of the ridge to the top often needs crampons and axes to climb, but this time was extremly good conditions. 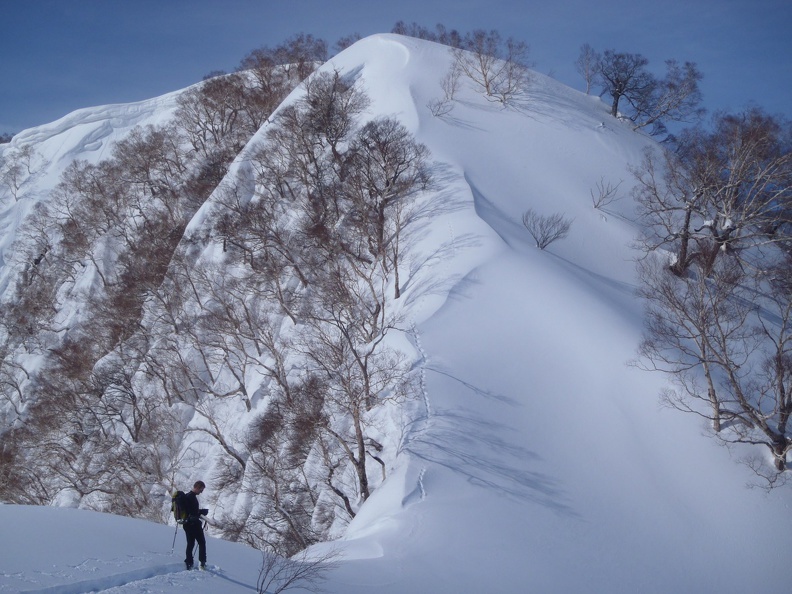 One step was quite steep and flanked by a bit scary faces, so we walked for a short stretch. 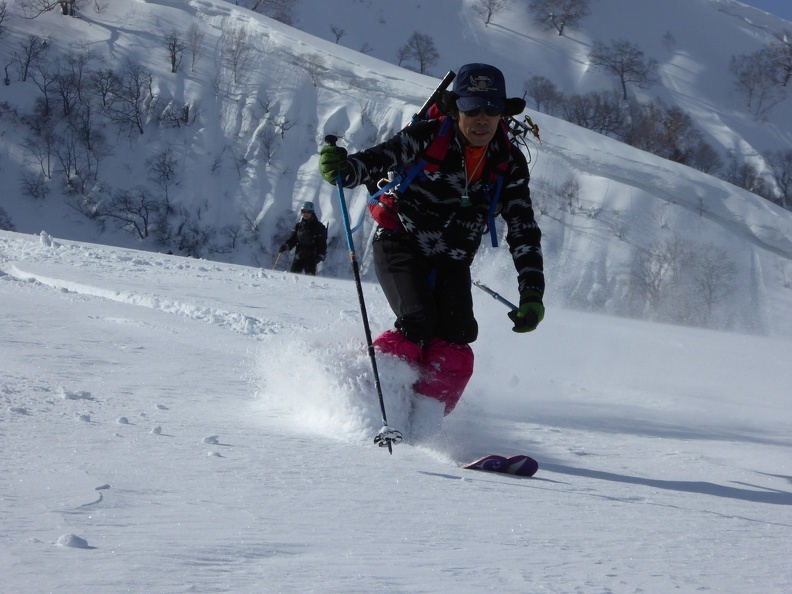 Skiing down was pure powder pleasure! 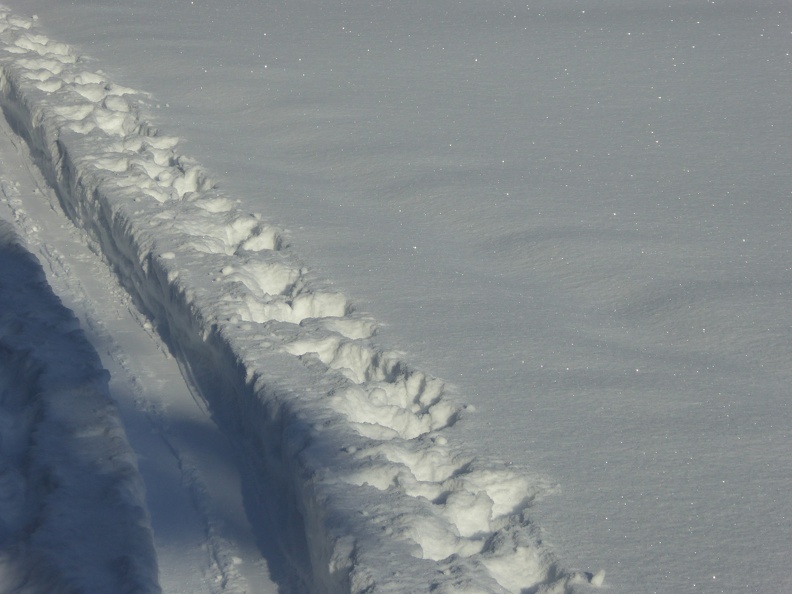 Track can be downloaded from here.